The 33th server of Glorious Saga will be released on Dec 6th 3:00 (UTC - 05:00), 2018 along with the various super value events. We are here to welcome you to enter this amazing Glorious Saga world. 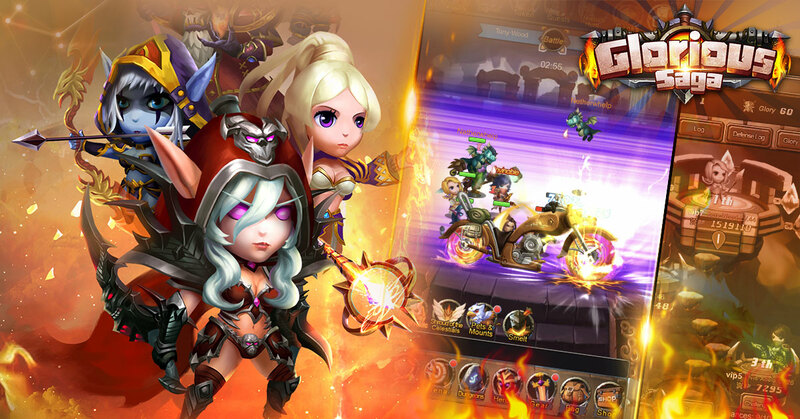 “Glorious Saga” is a horizontal-style RPG h5 game with great battling effects and beautiful graphics. There are 6 legendary heroes within each of the two Factions and each hero has unique skills, including mutually countering Captain Skill. Without the limitation of turn-based battles, each hero also has own unique target in battle, therefore changing formation can quickly affect the battle results. Other gameplays including Mounts, Pets, Cross Server PVP, Trials, etc. Click on the link to play with your phone or PC, NO NEED TO DOWNLOAD!